You can thank gravity for many things, from keeping your water in the glass to making sure your car stays on the road. But on Mars' moons, visitors wouldn't be able to take those perks for granted. The gravitational pull on Deimos is so weak that if you rode a bike off a ramp there, you might just fly out of the moon's gravity. Mars' other moon, Phobos, isn't much better. 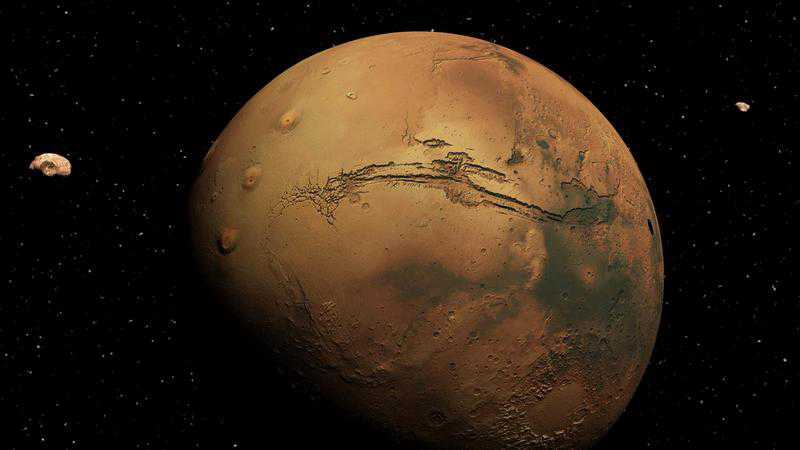 Until the late 19th century, scientists thought that Mars had no moon. In 1877, Asaph Hall discovered Mars indeed had a moon—in fact, it had two, and Hall had earned the privilege of naming them. Appropriately, Deimos and Phobos are named for the sons of the Greek God of war, Ares, known to the Romans as Mars. The twins represented different versions of fear—Deimos terror and dread, Phobos panic and flight—and spread that fear as they drove their father's chariot into battle. In reality, however, the moons are less than fearsome. They look more like asteroids than moons, and from the Martian surface, only appear as twinkling lights in the sky. According to Universe Today, the petite size of Deimos creates a bit of a problem: "Deimos is 1/49,735,808 times as massive as the Moon. As a result, Deimos' surface gravity is very weak, just 0.003 m/s<sup>2</sup> – or 0.000306 g." NASA concurs: a 110-pound person on Earth would weigh in at just .03 pounds on Deimos. Phobos is a bit bigger, but still only has a surface gravity of 0.0057 m/s<sup>2</sup>. That small size makes for a smaller escape velocity—that is, the speed at which you'd need to be going to leave the moon's gravitational pull. The escape velocity on Phobos is 25 mph (41 km/h)—low enough that you could easily throw a baseball into space from its surface. On Deimos, it's even lower, at a measly 13 mph (20 km/h). So yes, if you rode a bike off of one of the many hills on Deimos, you'd likely float off into the sky. Deimos orbits the planet every 30 hours, while Phobos orbits in just eight hours. 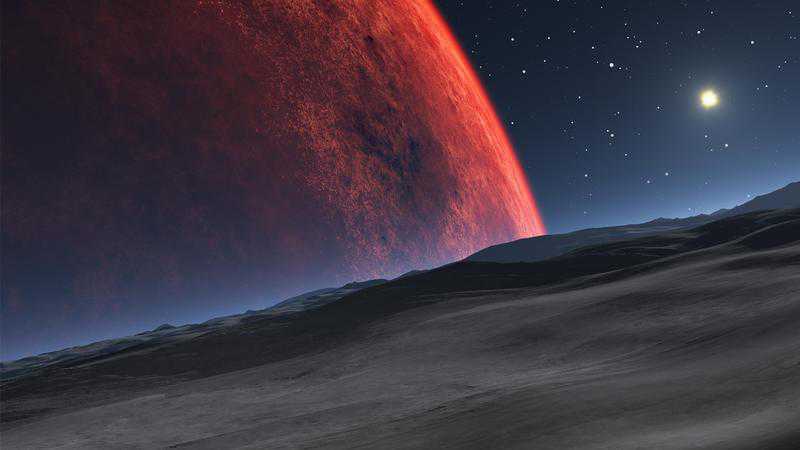 Despite their small size, researchers have learned both moons have similar traits to our moon. According to NASA, "Both are lumpy, heavily-cratered and covered in dust and loose rocks [...] The moons appear to be made of carbon-rich rock mixed with ice and may be captured asteroids." However, Mars isn't likely to remain in the moon club with Earth forever. Phobos is slowly drifting inward, and will either crash into its host planet or disintegrate and form a ring around Mars in 50 million years or less. Deimos, meanwhile, is slowly drifting away.